The Genant semiquantitative (GSQ) method has been a standard procedure for diagnosis of vertebral fractures in adults but has only recently been shown to be of clinical utility in children. Observer agreement using the GSQ method in this age group has not been described. To evaluate observer agreement on vertebral readability and vertebral fracture diagnosis using the GSQ method in pediatric vertebral morphometry. Spine radiographs of 186 children with acute lymphoblastic leukemia were evaluated independently by three radiologists using the same GSQ methodology as in adults. A subset of 100 radiographs was evaluated on two occasions. An average of 4.7% of vertebrae were unreadable for the three radiologists. Intraobserver Cohen’s kappa (κ) on readability ranged from 0.434 to 0.648 at the vertebral level and from 0.416 to 0.611 at the patient level, while interobserver κ for readability had a range of 0.330 to 0.504 at the vertebral level and 0.295 to 0.467 at the patient level. Intraobserver κ for the presence of vertebral fracture had a range of 0.529 to 0.726 at the vertebral level and was 0.528 to 0.767 at the patient level. Interobserver κ for fracture at the vertebral level ranged from 0.455 to 0.548 and from 0.433 to 0.486 at the patient level. 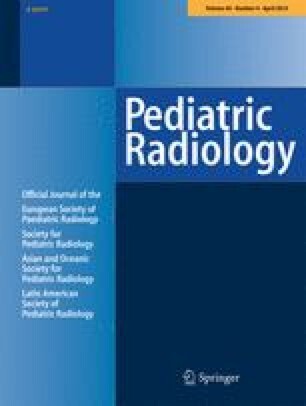 Most κ values for both intra- and interobserver agreement in applying the GSQ method to pediatric spine radiographs were in the moderate to substantial range, comparable to the performance of the technique in adult studies. The GSQ method should be considered for use in pediatric research and clinical practice. 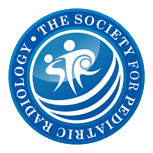 The STeroid-associated Osteoporosis in the Pediatric Population (STOPP) Consortium: Alberta Children’s Hospital, Calgary, Canada: Reinhard Kloiber, Victor Lewis, Julian Midgley, Paivi Miettunen, David Stephure; British Columbia Women’s Hospital and Health Sciences Center, Vancouver, Canada: Brian C. Lentle; British Columbia Children’s Hospital, Vancouver, Canada: David Cabral, David B. Dix, Kristin Houghton, Helen R. Nadel; Brock University, St. Catharines, Canada: John Hay; Children’s Hospital of Eastern Ontario, Ottawa, Canada: Ciaran Duffy, Janusz Feber, Jacqueline Halton, Roman Jurencak, Mary Ann Matzinger, Johannes Roth, Nazih Shenouda, Leanne M. Ward; London Health Sciences Centre, London, Canada: Elizabeth Cairney, Cheril Clarson, Guido Filler, Joanne Grimmer, Scott McKillop, Keith Sparrow, Robert Stein; IWK Health Center, Halifax, Canada: Elizabeth Cummings, Conrad Fernandez, Adam M. Huber, Bianca Lang, Kathy O’Brien; McMaster Children’s Hospital, Hamilton, Canada: Steve Arora, Stephanie Atkinson, Ronald Barr, Craig Coblentz, Peter B. Dent, Maggie Larché, Colin Webber; Montreal Children’s Hospital, Montreal, Canada: Sharon Abish, Lorraine Bell, Claire LeBlanc, Celia Rodd, Rosie Scuccimarri; Ottawa Hospital Research Institute, Ottawa, Canada: David Moher, Tim Ramsay; Shriners Hospital for Children, Montreal, Canada: Francis Glorieux, Frank Rauch; Ste. Justine Hospital, Montreal, Canada: Nathalie Alos, Josee Dubois, Caroline Laverdiere, Veronique Phan, Claire Saint-Cyr; Stollery Children’s Hospital, Edmonton, Canada: Robert Couch, Janet Ellsworth, Maury Pinsk, Kerry Siminoski, Beverly Wilson; Universite de Sherbrooke, Sherbrooke, Canada: Isabelle Gaboury; Toronto Hospital for Sick Children, Toronto, Canada: Martin Charron, Diane Hebert, Ronald Grant; Winnipeg Children’s Hospital, Winnipeg, Canada: Tom Blydt-Hansen, Sara Israels, Kiem Oen, Martin Reed, Shayne Taback. This study was primarily funded by an operating grant from the Canadian Institutes for Health Research. Additional funding for this work has been provided to Dr. Leanne Ward by the Canadian Institutes for Health Research New Investigator Program, the Canadian Child Health Clinician Scientist Career Enhancement Program and by a University of Ottawa Research Chair Award. The study has also been partially funded by the Children’s Hospital of Eastern Ontario and Women and Children’s Health Research Institute, University of Alberta. The children and their families who participated in the study and without whom the STOPP research program would not have been possible. The research associates who took care of the patients: Claude Belleville, Ronda Blasco, Erika Bloomfield, Dan Catte, Heather Cosgrove, Valerie Gagne, Diane Laforte, Maritza Laprise, Josie MacLennan, Natacha Gaulin Marion, Germaine McInnes, Amanda Mullins, Eileen Pyra, Catherine Riddell and Aleasha Warner. The research nurses and support staff from the various Divisions of Nephrology, Oncology, Rheumatology and Radiology who have contributed to the care of the children enrolled in the study. The research associates who managed the study at the Children’s Hospital of Eastern Ontario: Steve Anderson, Victor Konji, Catherine Riddell, Maya Scharke, Elizabeth Sykes and Monica Tomiak.